The Boss moves more material than any other method. 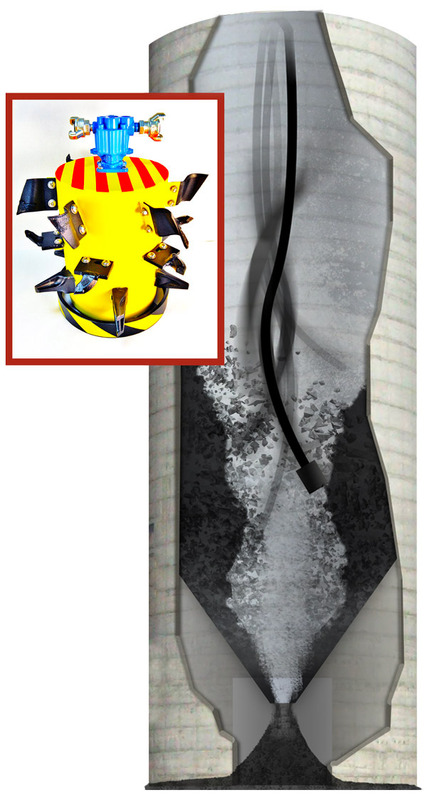 It minimizes downtime, speeds cleaning and represents a field proven technique used on hundreds of silos throughout the United States. The Boss is a unique clean-out head based on a proprietary design developed to accommodate variable attachments which are selected by our field crews to match the type of material being removed. The Boss removes more material faster and with more efficiency than any other clean-out method. As a result, it accelerates the cleaning process, minimizes downtime and out time on site, and yields predictable results.The Boss operates in a systematic pattern within the silo to remove the toughest build-ups. 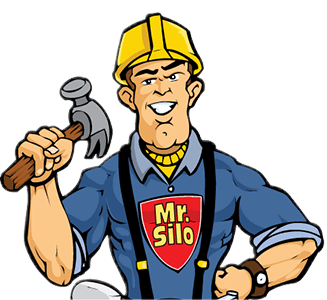 It has been used successfully in hundreds of silo cleaning projects throughout the United States.